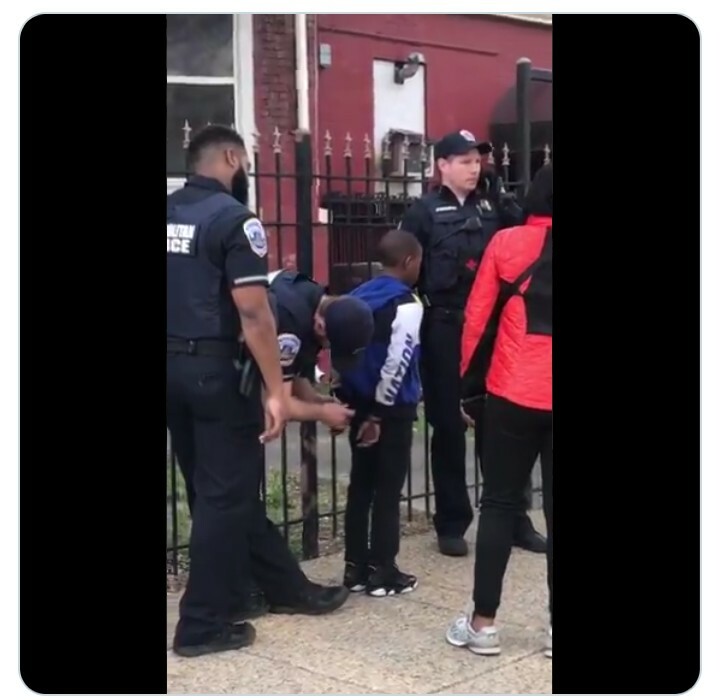 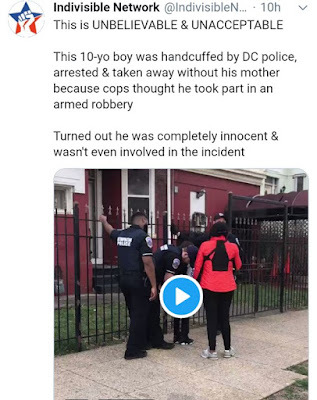 Twitter user shares a video of DC United Police arresting and molesting a 10 year old black american boy, who was wrongly accused of robbery operation. Turned out he was completely innocent & wasn't even involved in the incident". White people who witnessed the arrest was seen telling the police that this is not right!